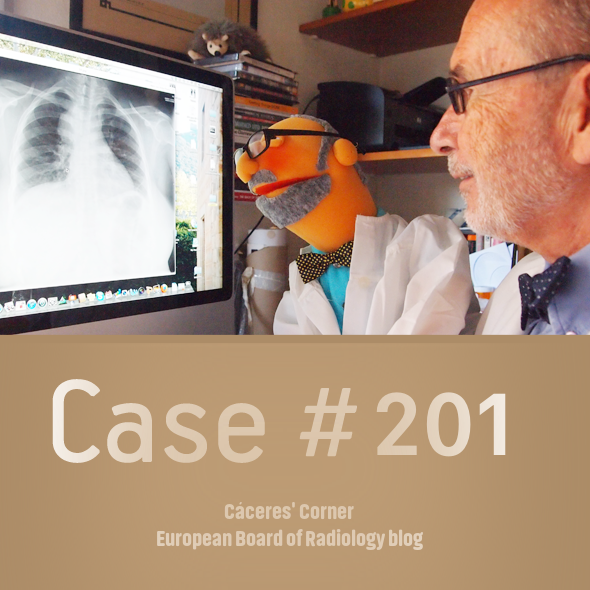 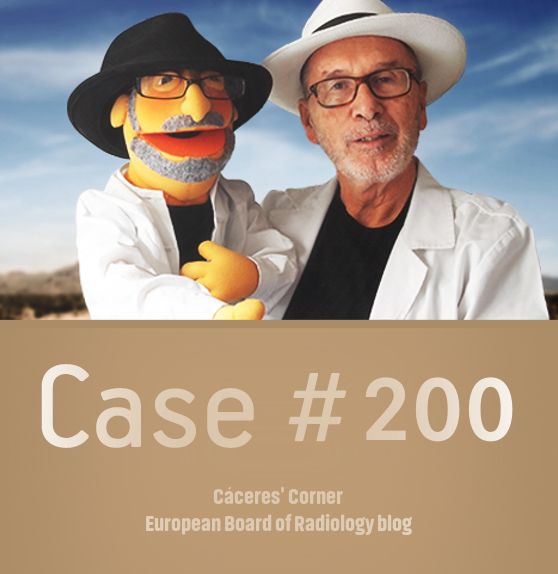 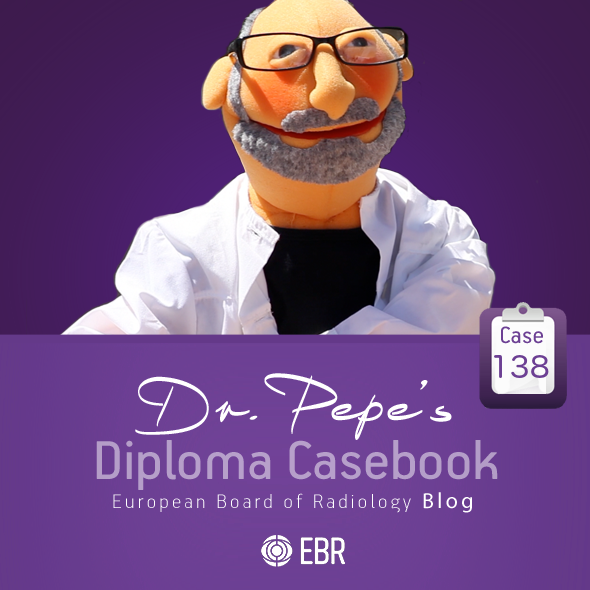 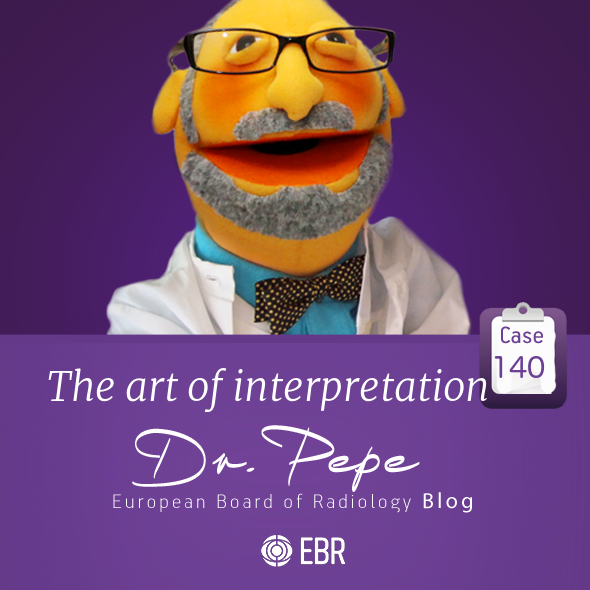 Cáceres’ Corner Case 201 – SOLVED! 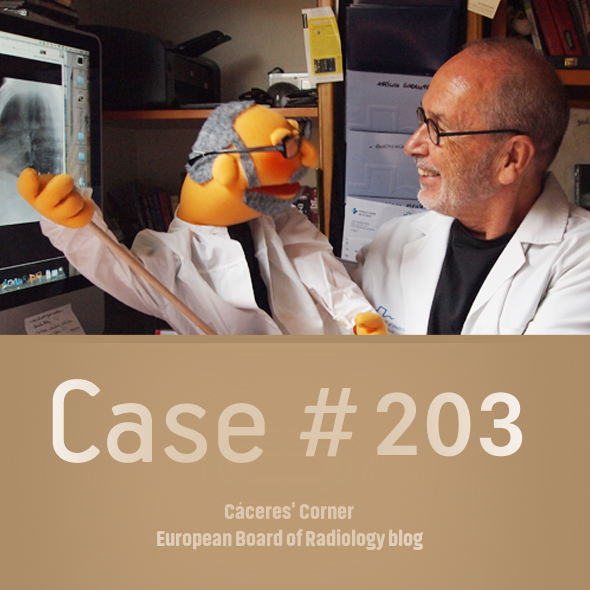 my good friend José Luis López Moreno gave me this case: preoperative chest radiographs for hand surgery in a 39-year-old woman. 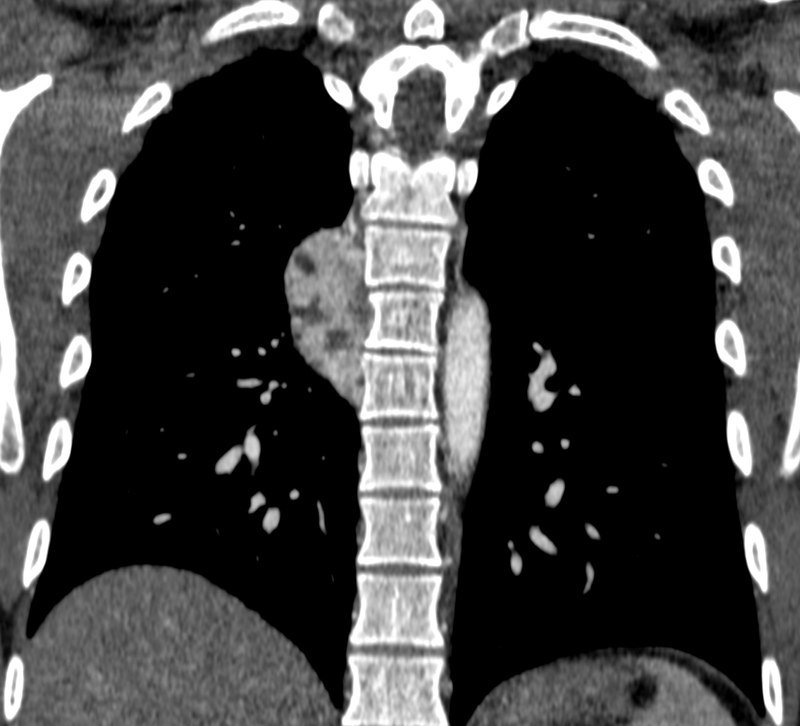 Com back on Friday to see the answer! 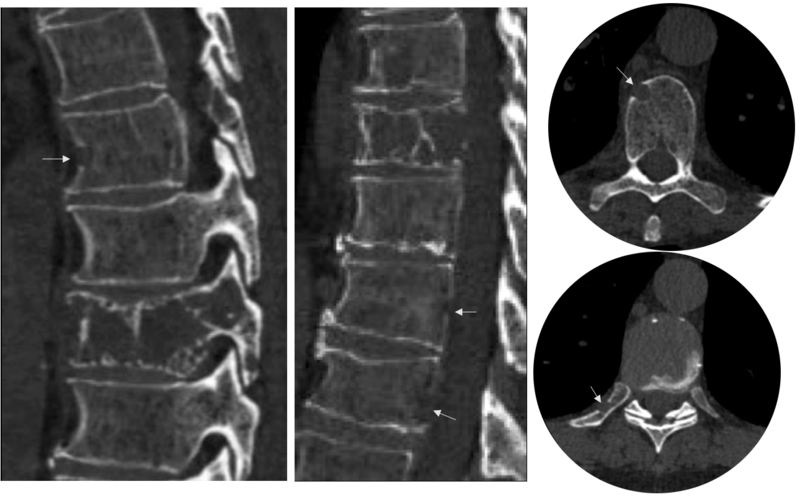 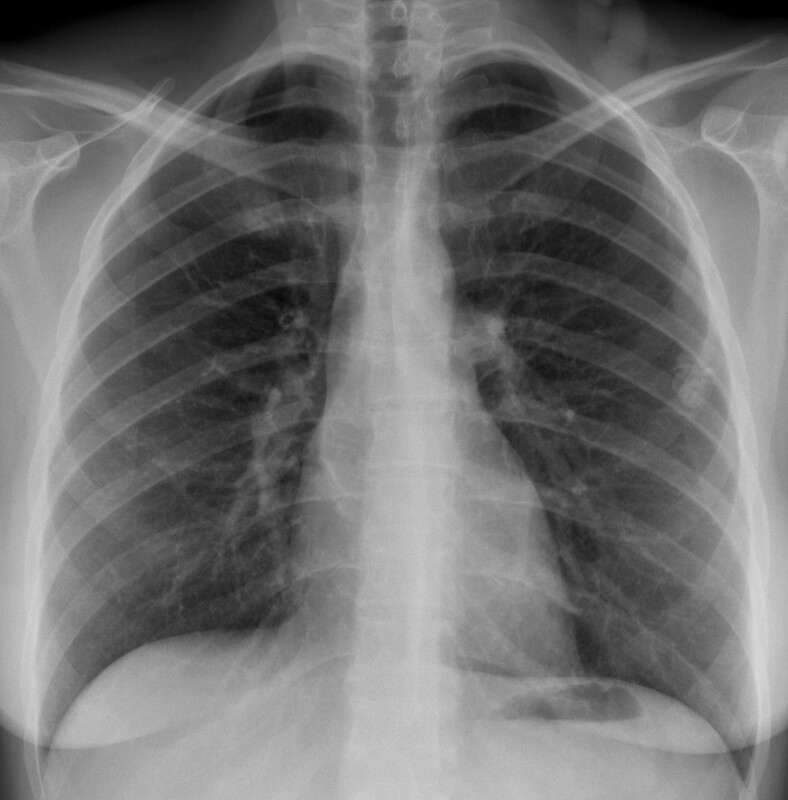 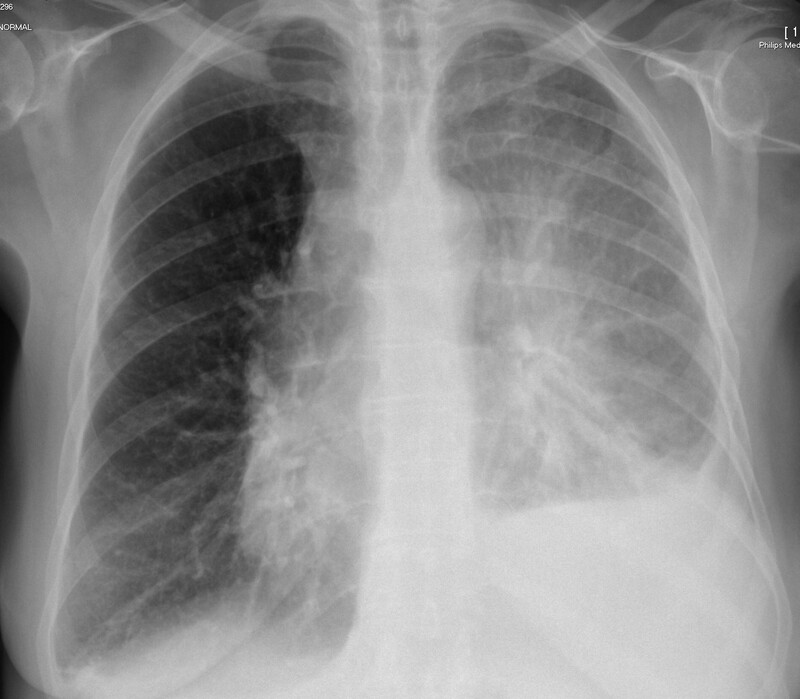 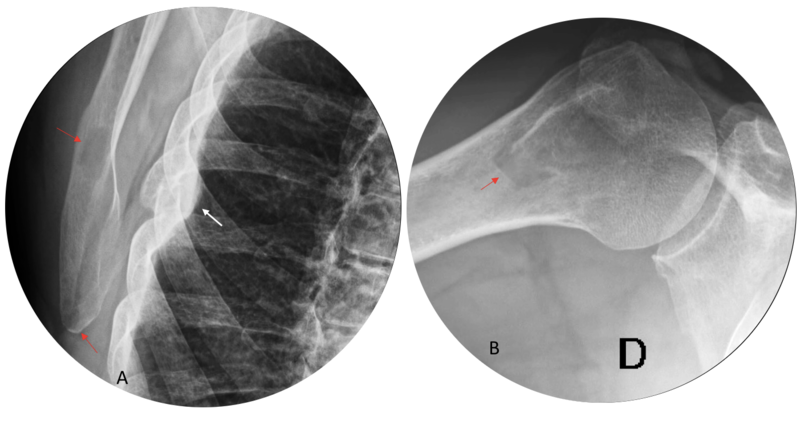 (A, arrow) that seems to be calcified. 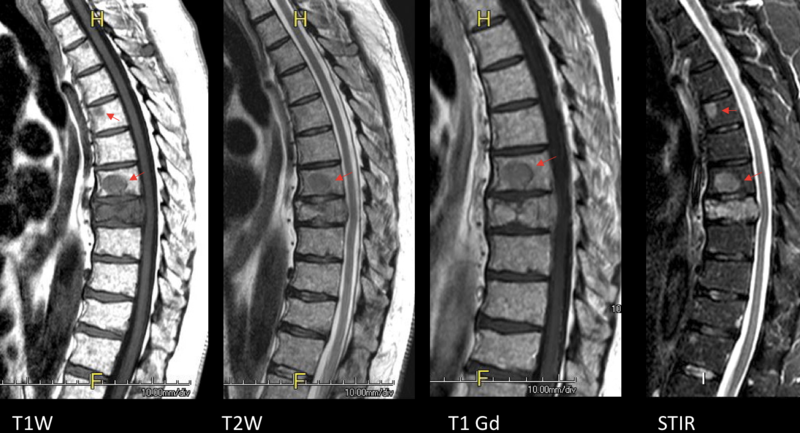 Cone down view shows a whorled pattern (B, arrow). 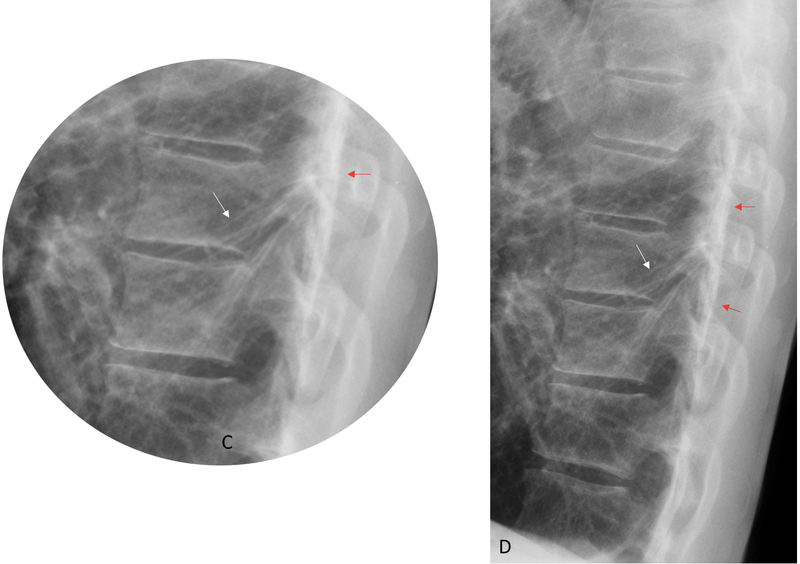 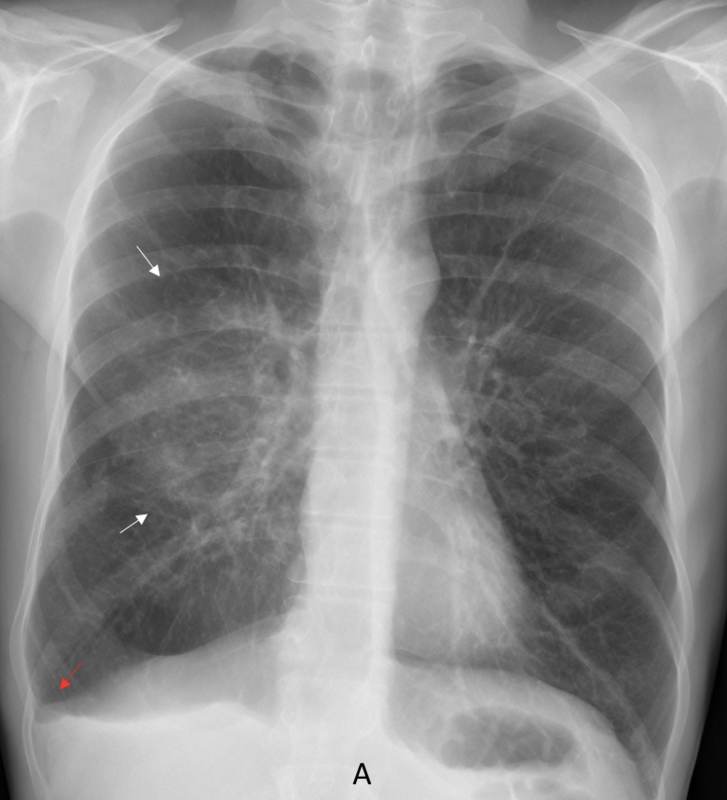 A braid is visible in the left supraclavicular area (A, red arrow). 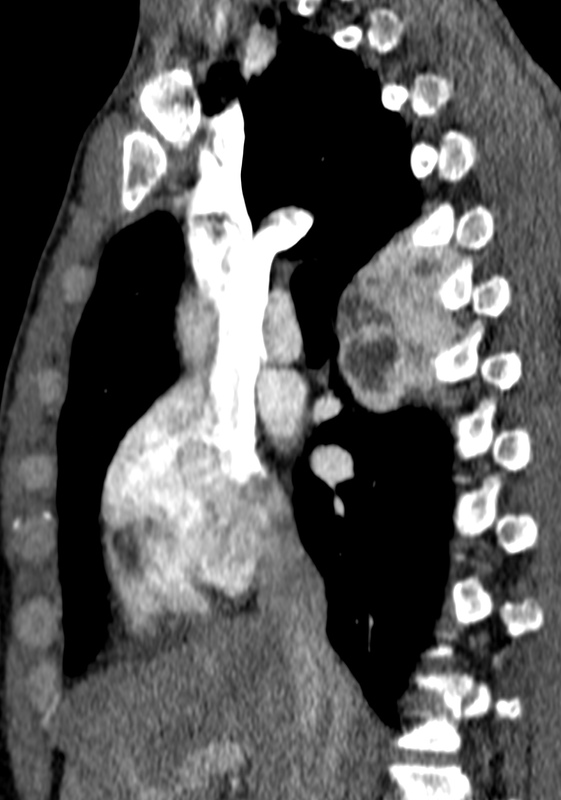 Lateral view (not shown) is unremarkable. 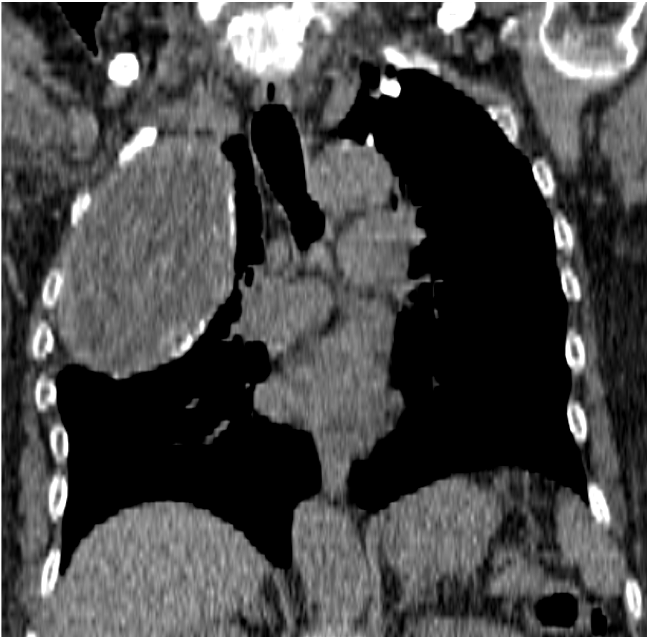 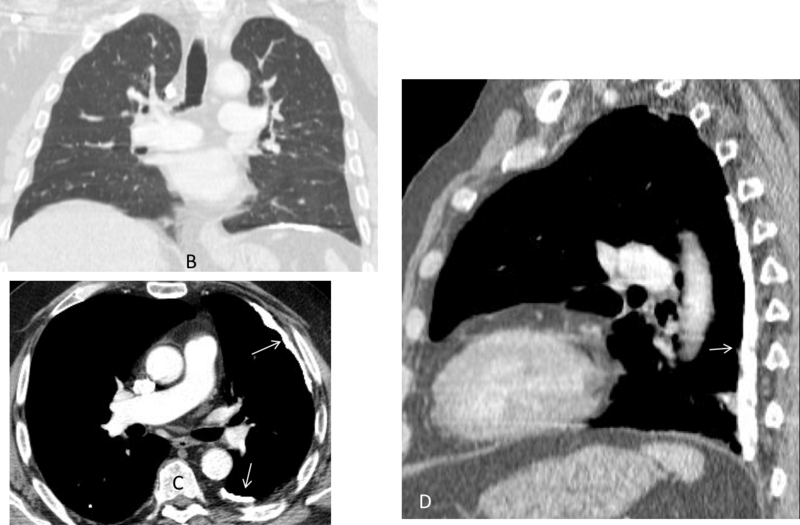 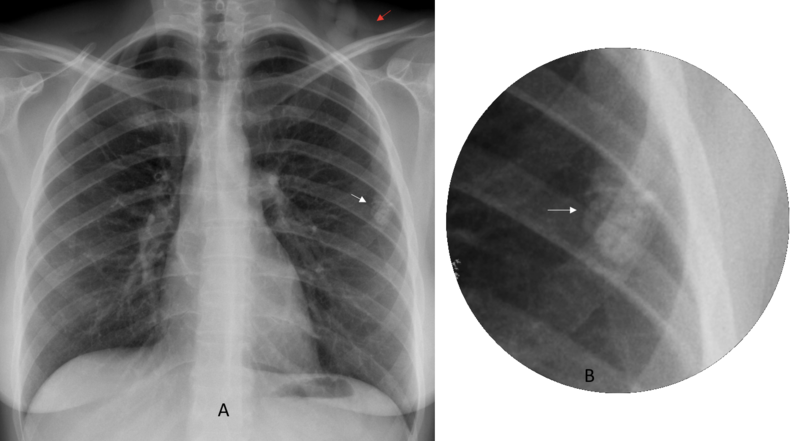 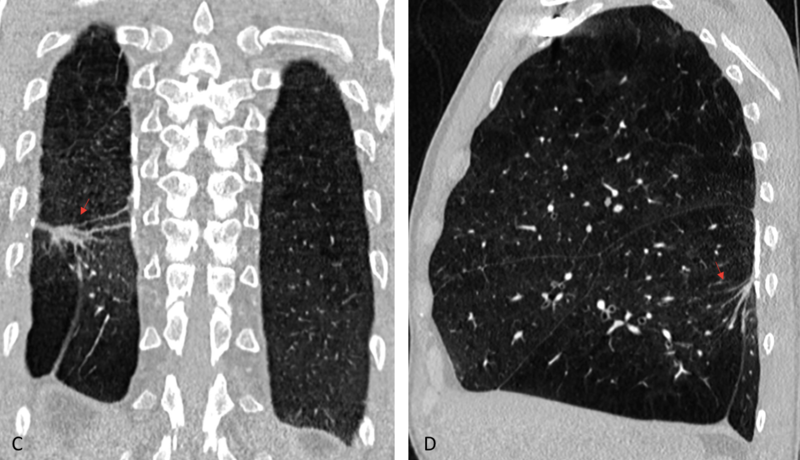 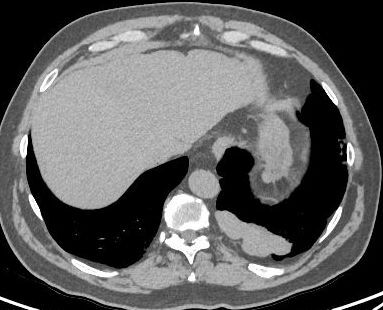 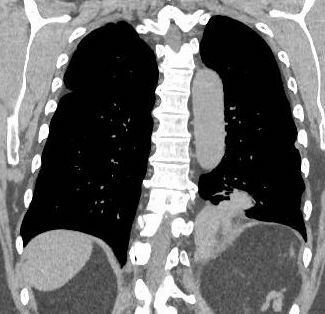 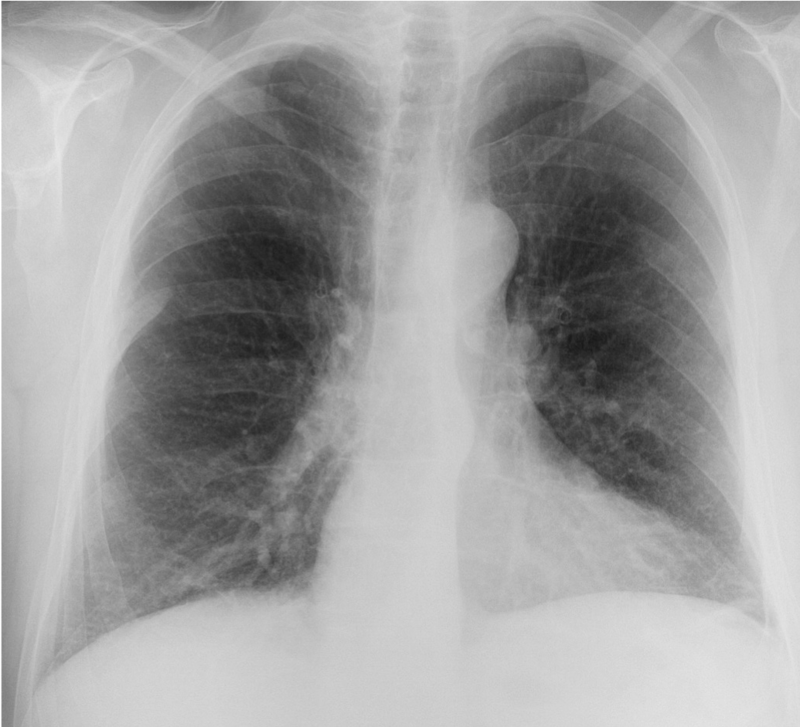 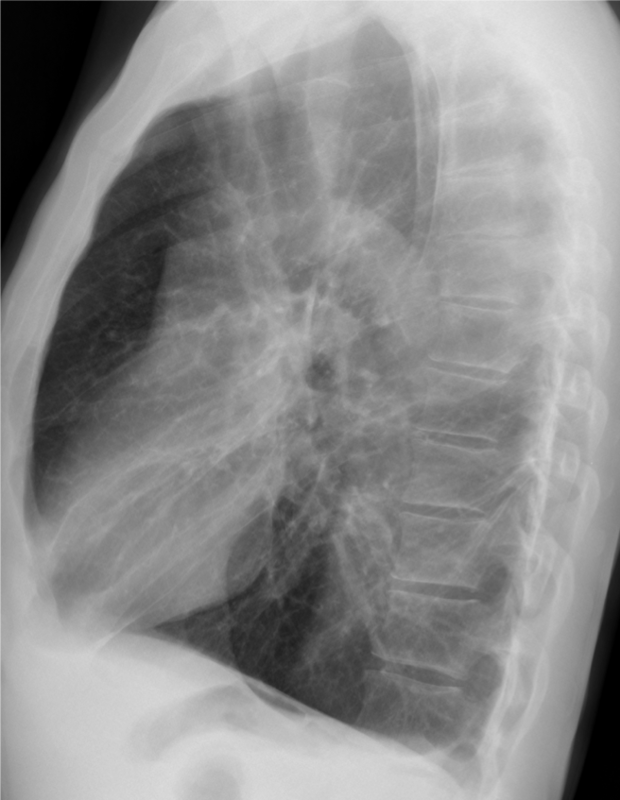 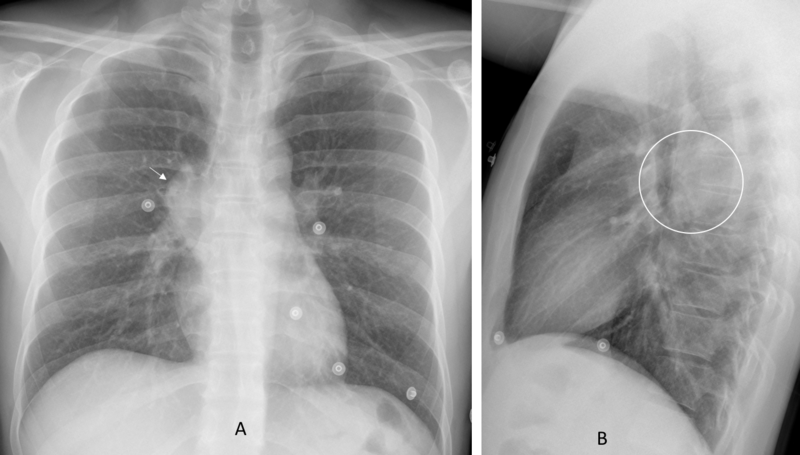 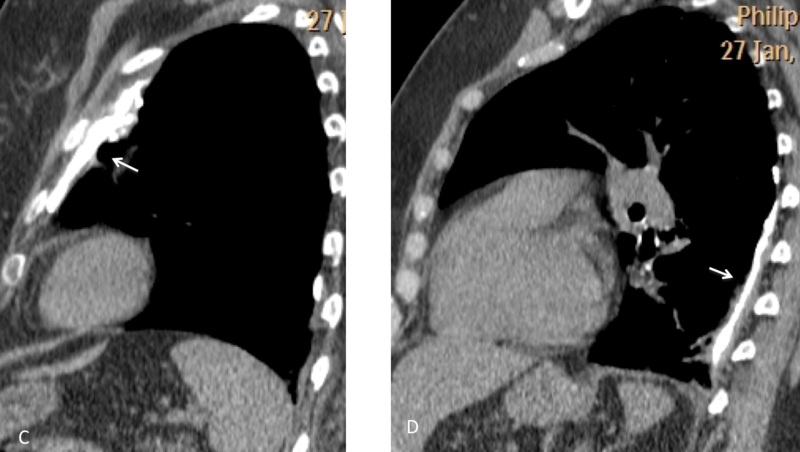 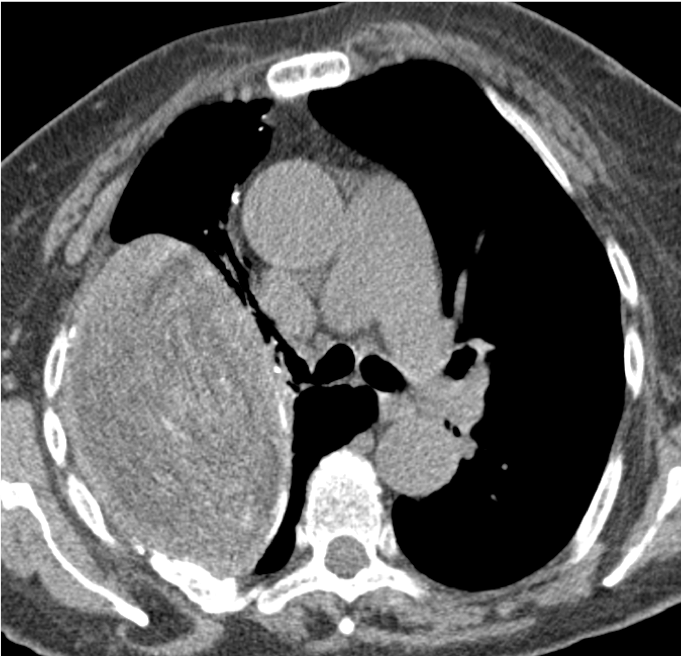 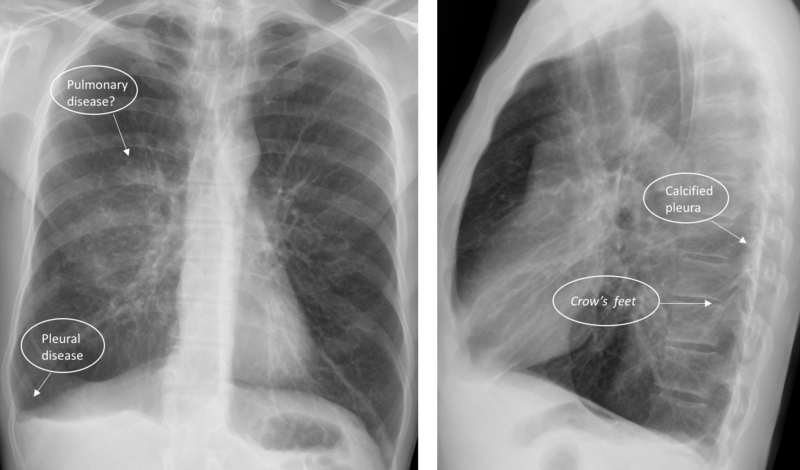 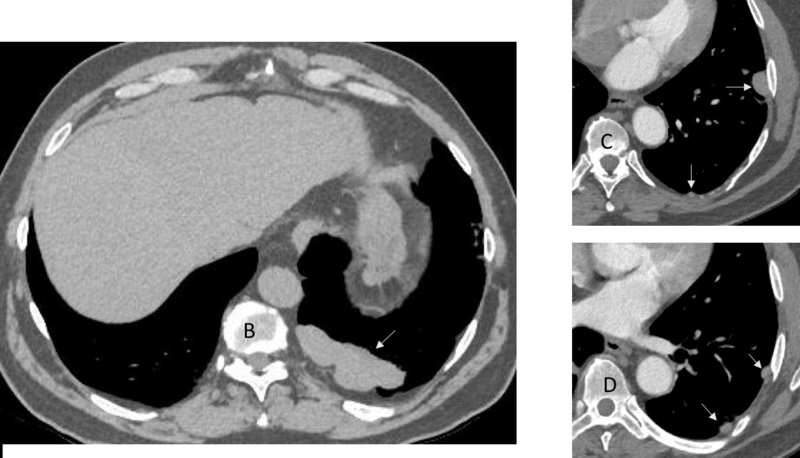 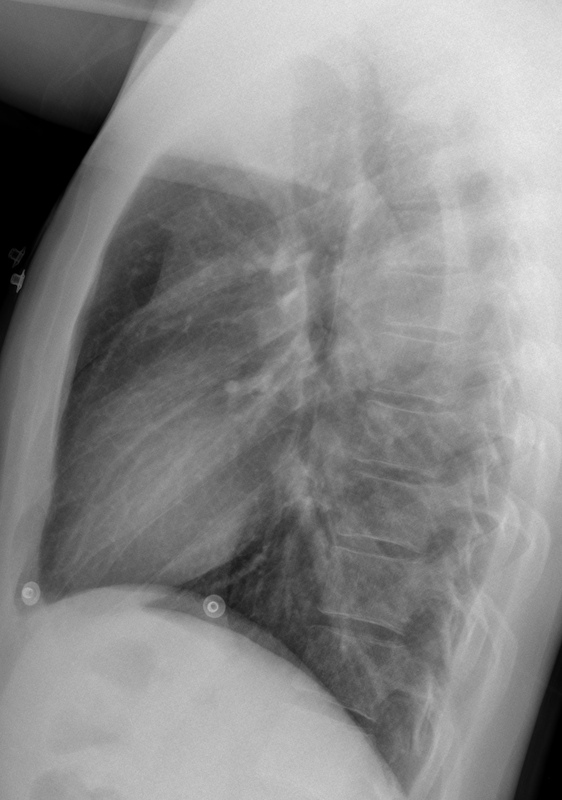 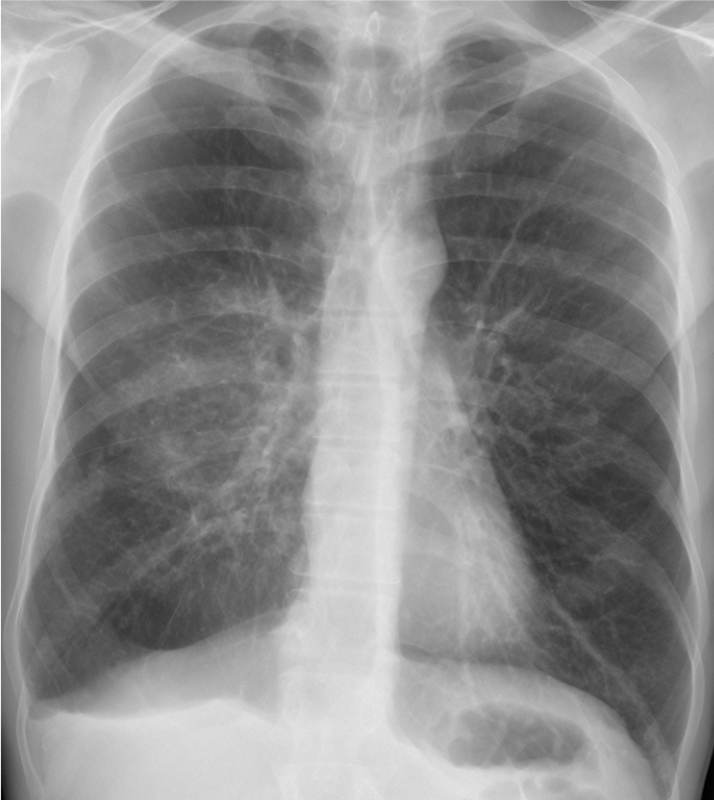 Scout view of the CT does not show the apparent lung lesion, which is not visible in the axial view of the lung (D). 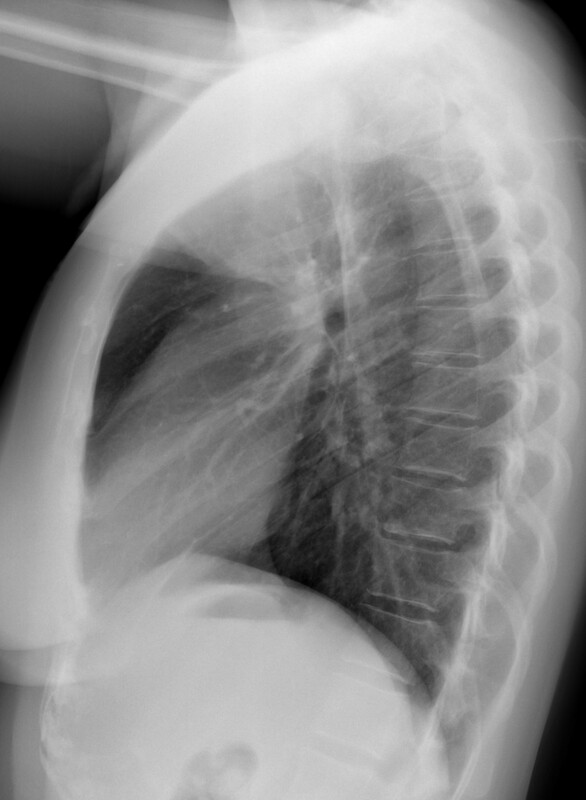 The technician that took the chest radiograph told us that the patient had a long braid with a rubber at the end. 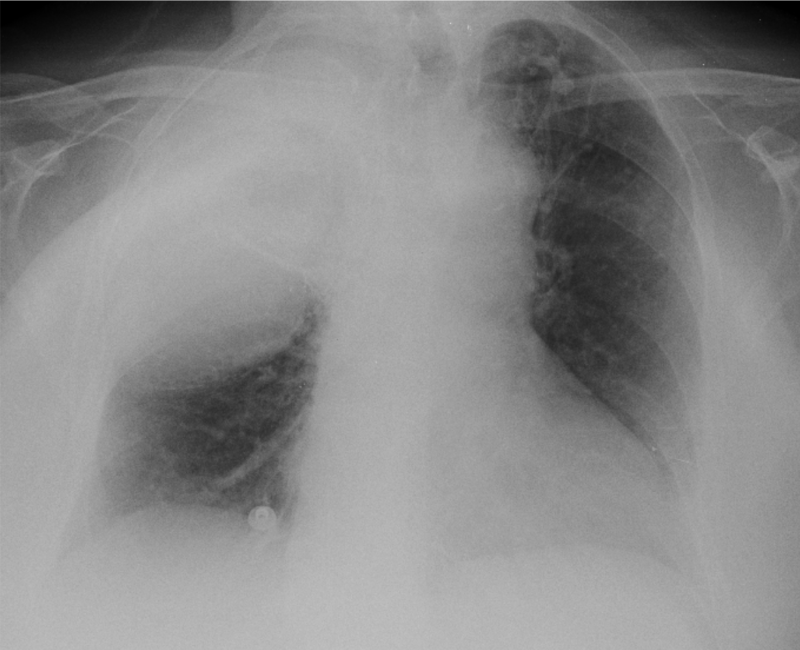 Congratulations to MK who was the first to suggest the right diagnosis. 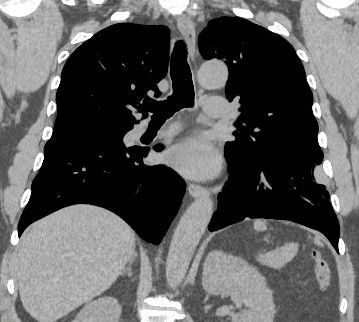 Kudos for effort to Coffee. 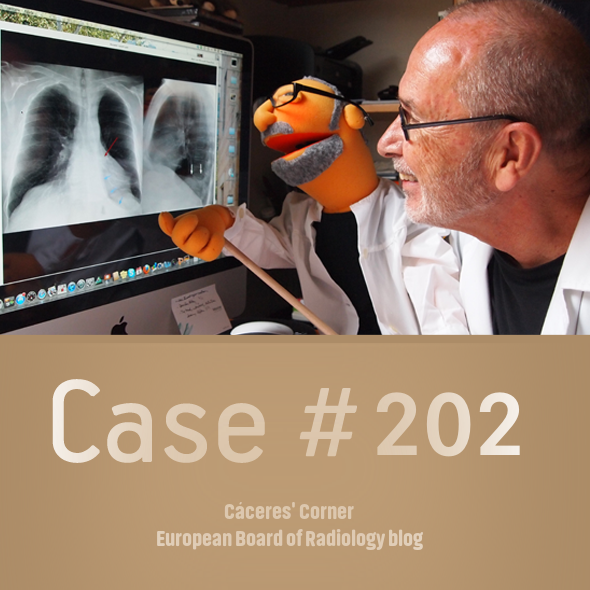 I must confess that I was fooled when showed this case. 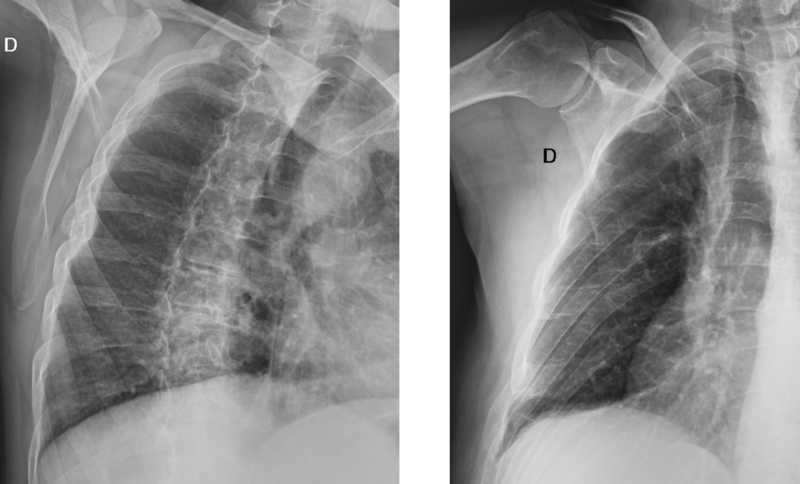 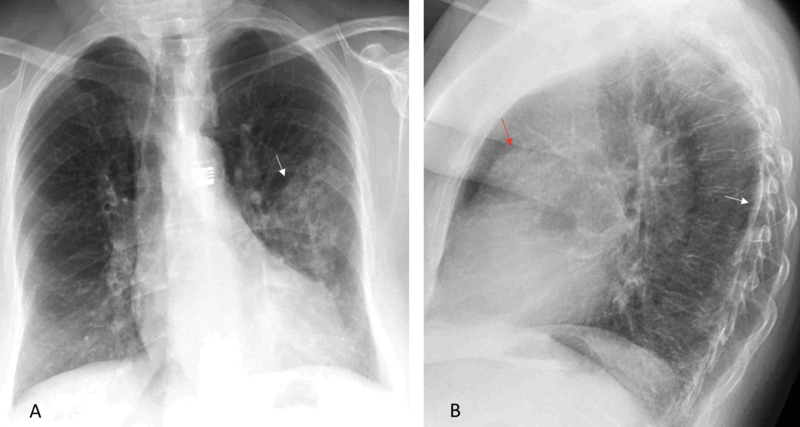 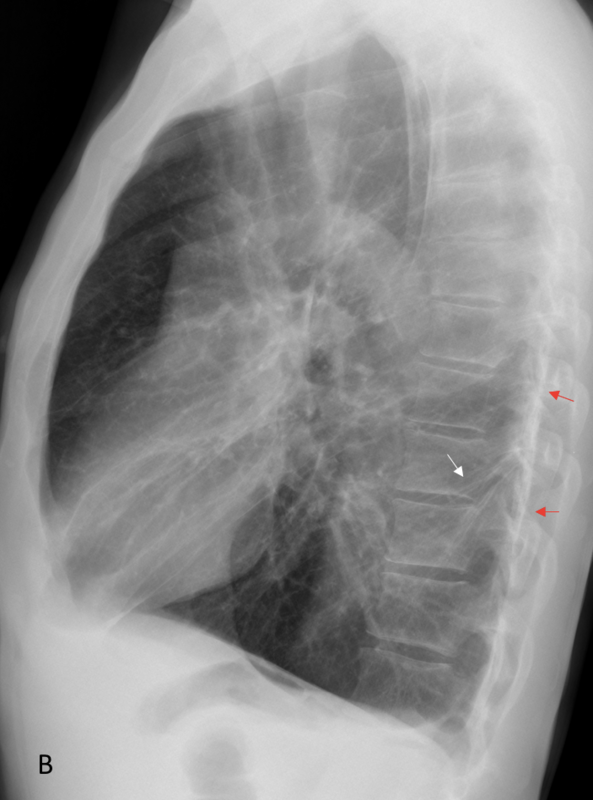 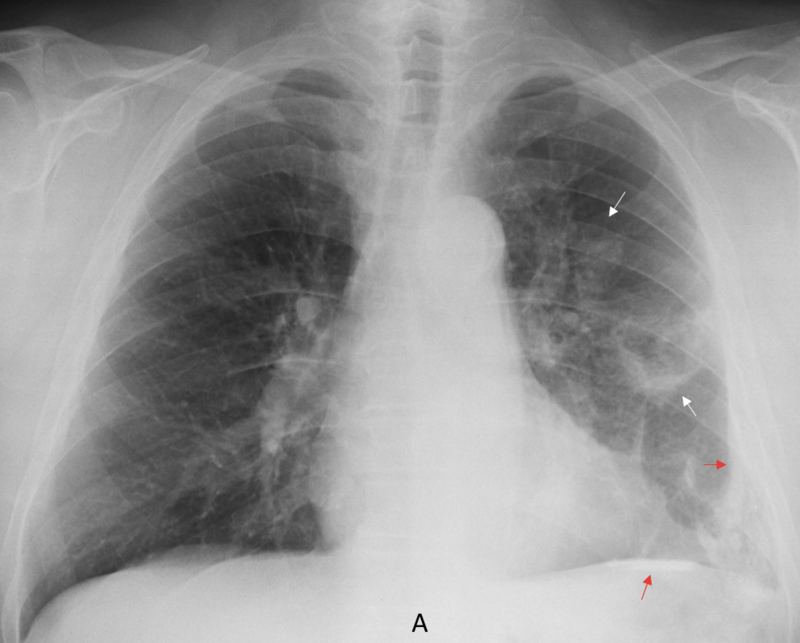 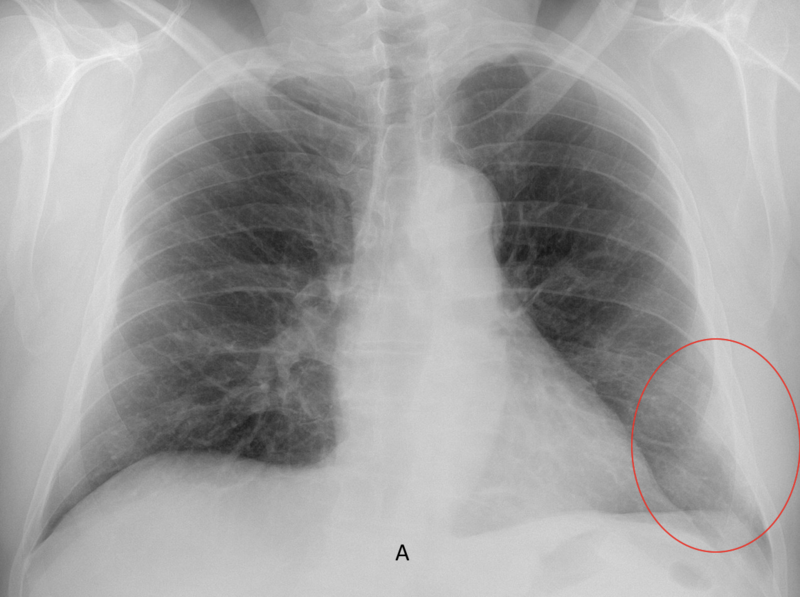 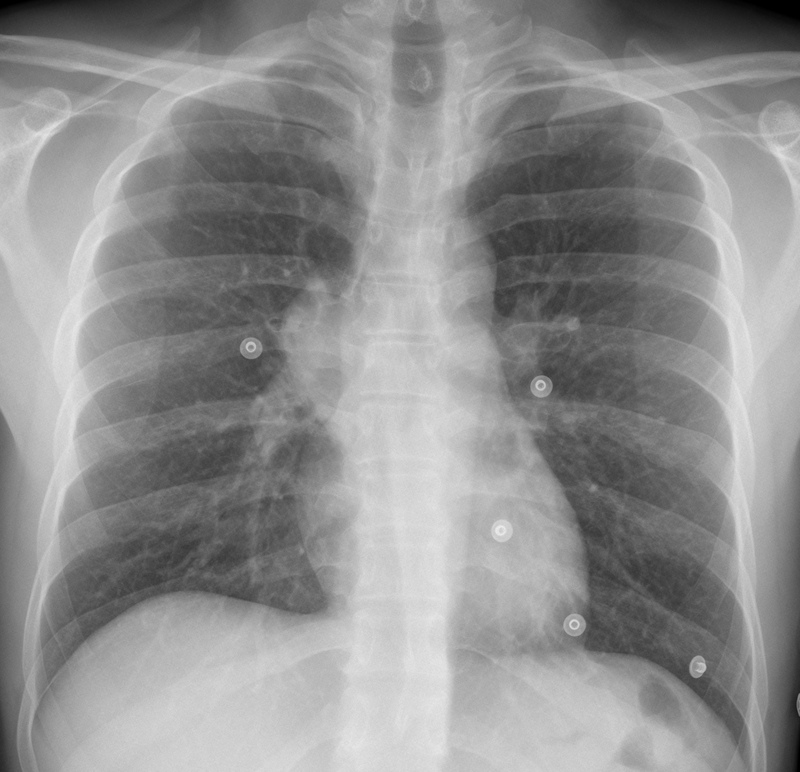 Despite noticing the braid in the left supraclavicular area (A, red arrow) I failed to connect it to the apparent lung nodule. 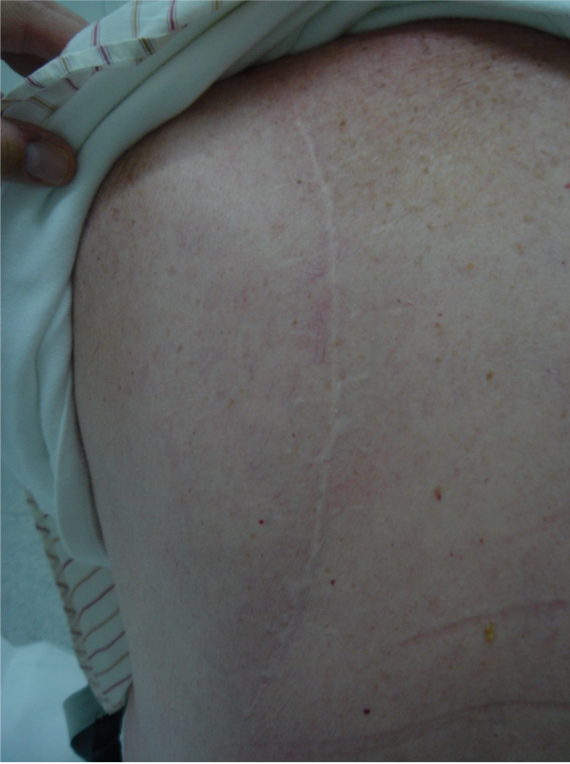 I suspected a skin artifact, without excluding an osteochondroma of rib or scapula. 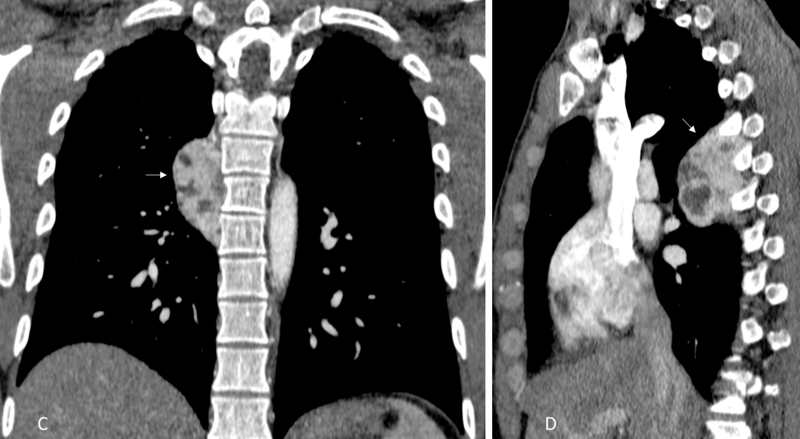 Teaching point: after showing three braid artifacts in the blog (case 109, 172 and 191), I missed the fourth one.